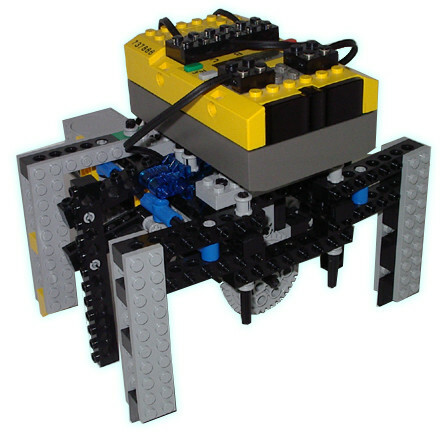 October 2005: This RCX walker is semi-passive, that means that while the motor shift the weight of the RCX, the legs are not actuated (they are passive). 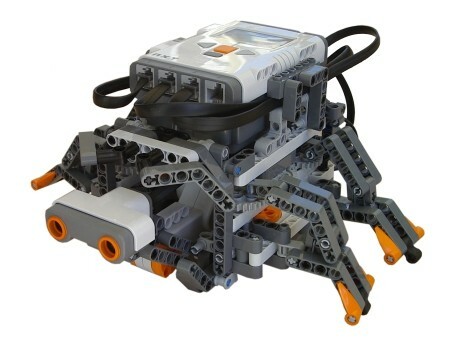 It can walk straight and even turn, using ONLY ONE motor! 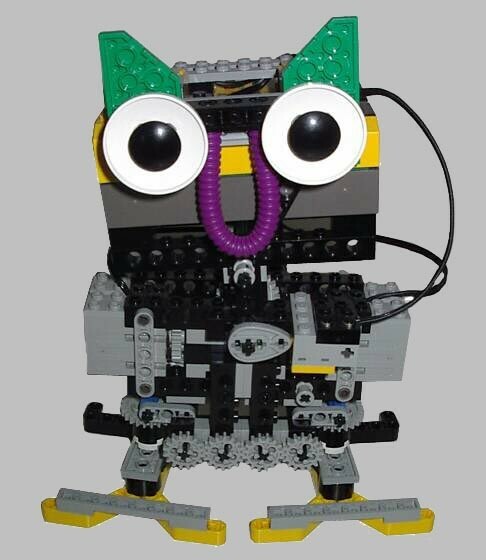 The robot is built with Lego Mindstorms RIS 1.5 kit, plus some studless parts and a touch sensor. The motor shifts the RCX left and right with a rack and pinion system. 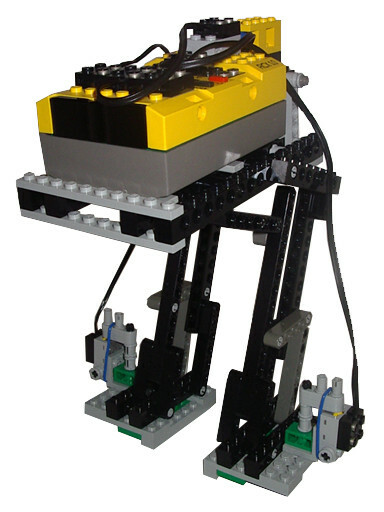 The normally-closed touch sensors in the feet allow the program to shift the weight at the right timing, switching direction when the opposite foot is lifted from ground. I learned this trick from ISOGAWA Yoshihito, that used this mechanism on his chicken-like biped. 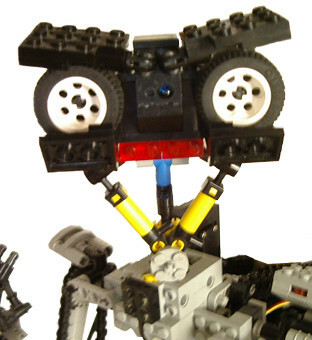 The legs of his robot are balanced in such a way, that when center of gravity in loads one foot, the other foot is free to move forward. So, moving weight left and right, biped can walk straight. I tried to improved his genial idea, changing the legs, so that they move parallel to ground: this allowed my biped to turn (slowly, in wide circles).